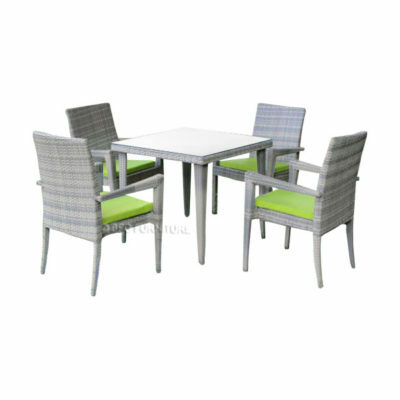 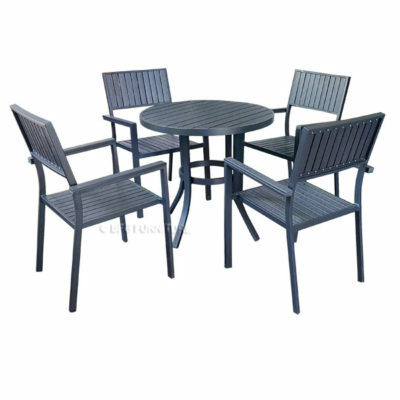 This versatile Carina 5 Piece Dining Set with Umbrella is for great entertaining guests in the comfort of your garden or patio. 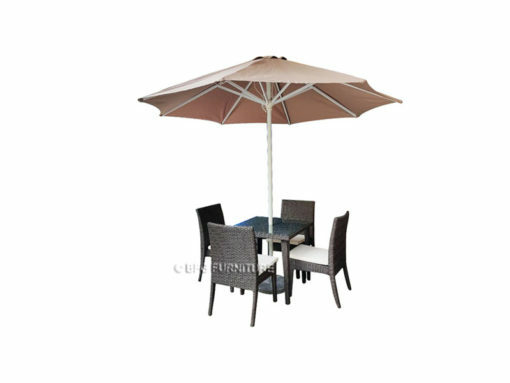 Comes with a sturdy base that holds the matching khaki umbrella. 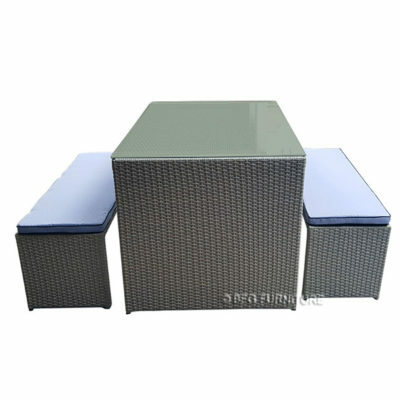 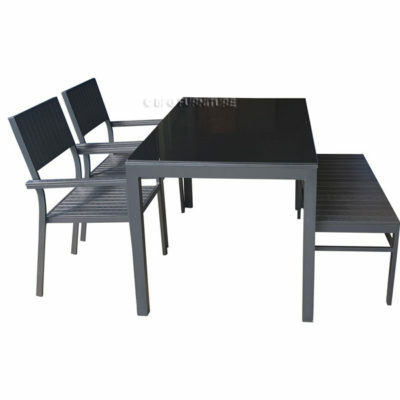 The table contains tempered glass and 4 chairs. Always fold the parasol when not in use and never use it when it is windy.